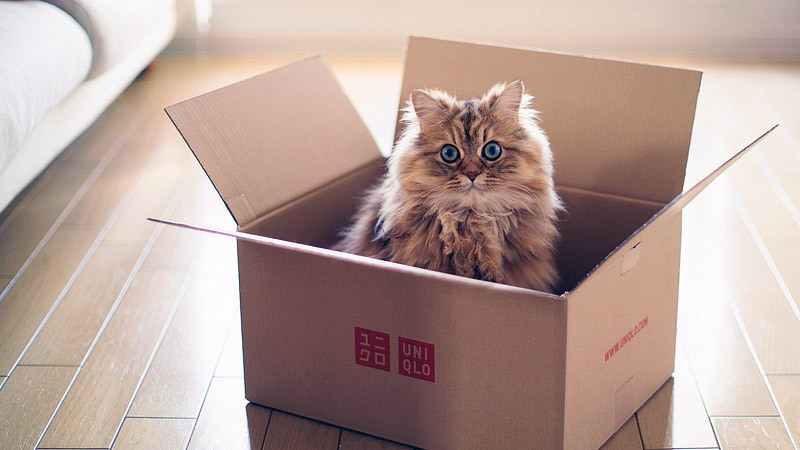 Cats love boxes, that’s no secret. 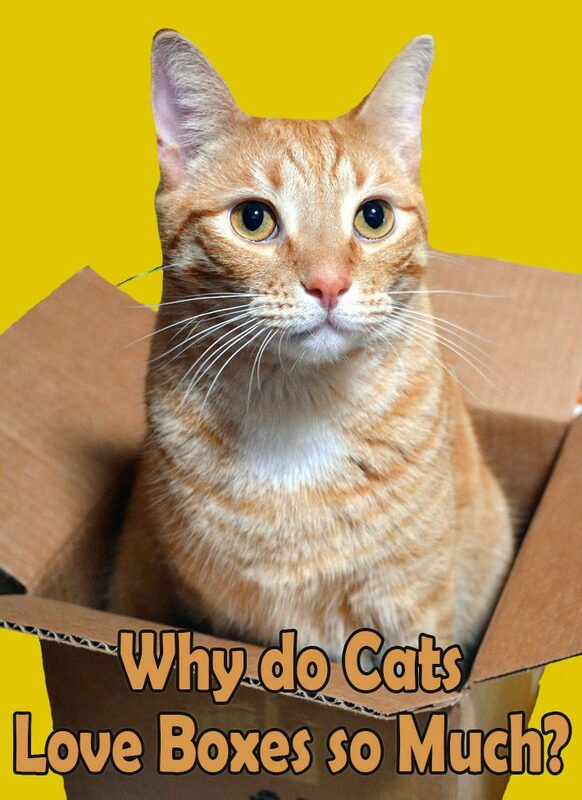 Many owners will tell you, their kitties love to climb inside cardboard boxes. 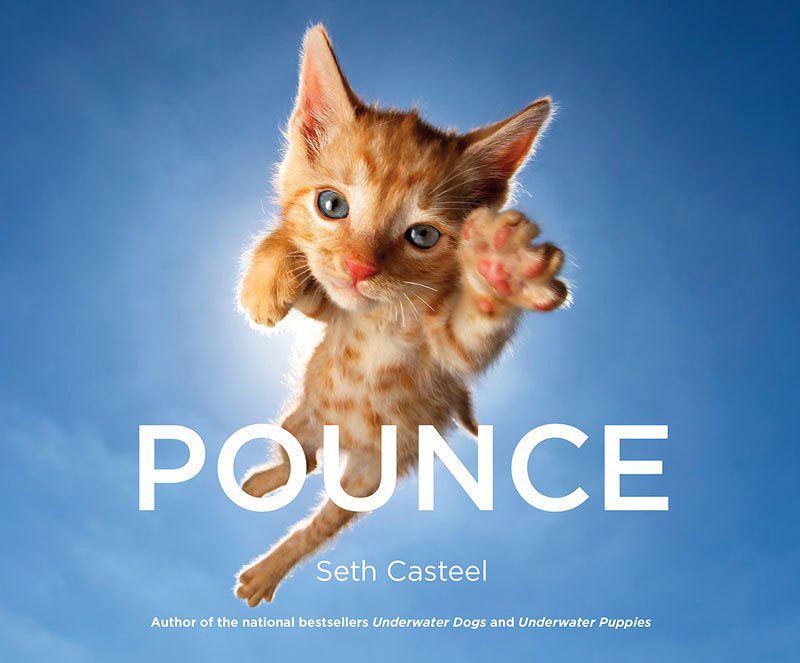 Of course, the most obvious explanation for such behavior is that cats are predators. It is in their instincts to seek hideouts that can be used to ambush prey. However, latest research results allowed scientists to conclude that this is but one of several possible reasons. 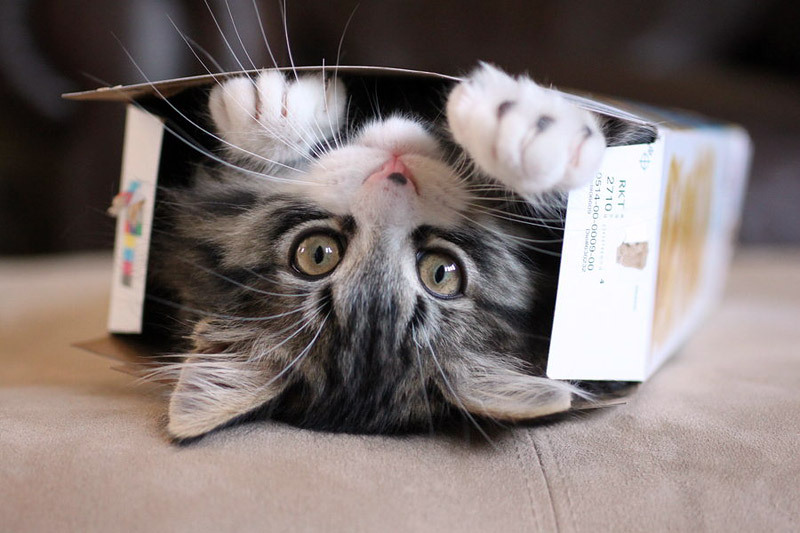 Working as a veterinary practitioner at a cat rescue center, Dr. Claudia Vinke of Utrecht University has made an interesting discovery: providing newcomer animals with boxes (as temporary shelters during their adaptation period) helps them fit in with the other center inhabitants and makes them more approachable to humans. In nature, wild cats often hide in caves, tree hollows, or among branches. 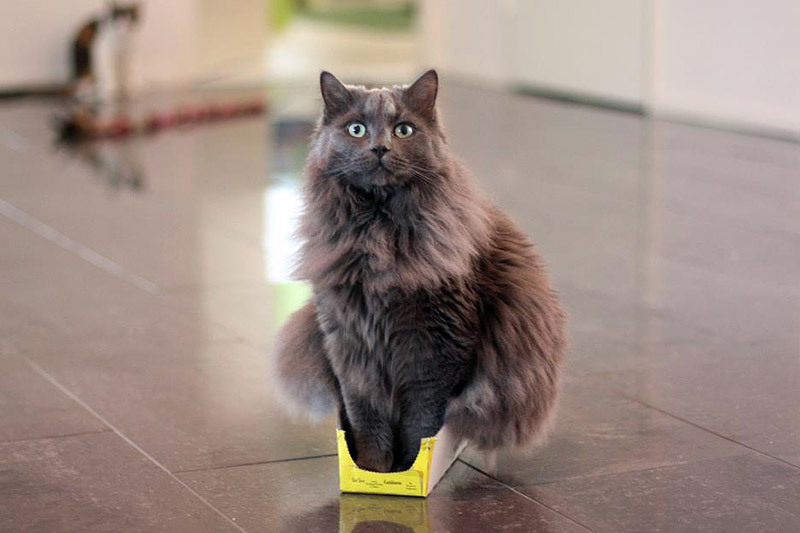 Domestic felines prefer boxes. 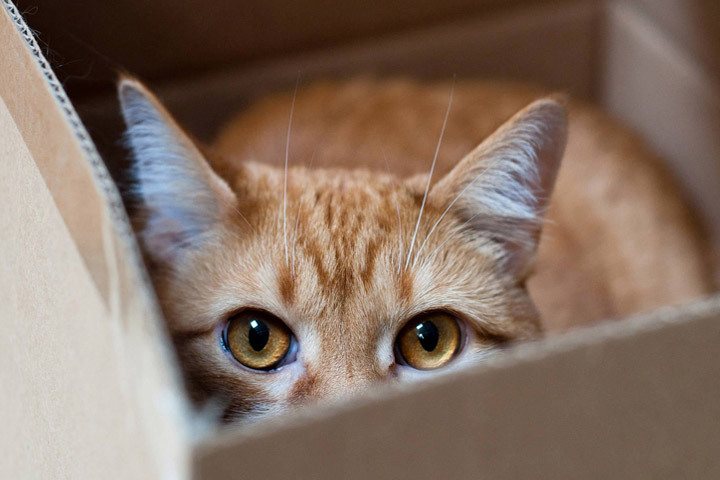 Finding a safe place to hide is a strategy that helps a cat to get used to an unfamiliar environment and defeat stress. 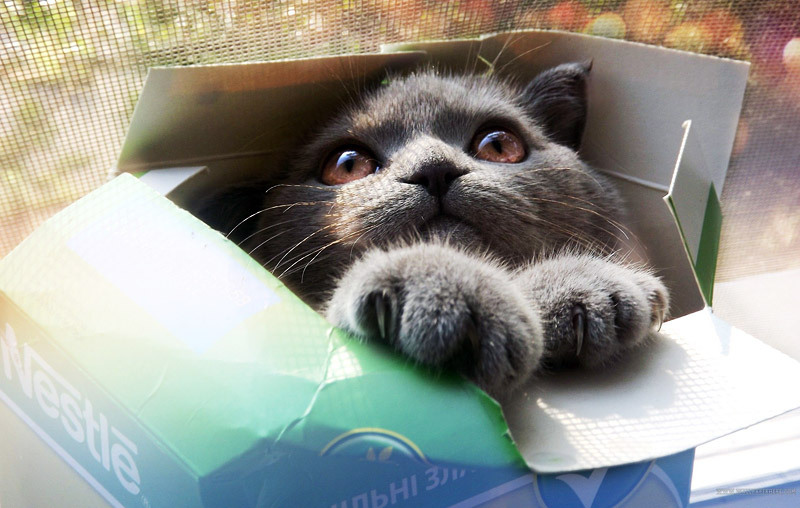 Hence, when a cat is scared by something, it sees a box as a comfort zone — a place to hide from all their problems. 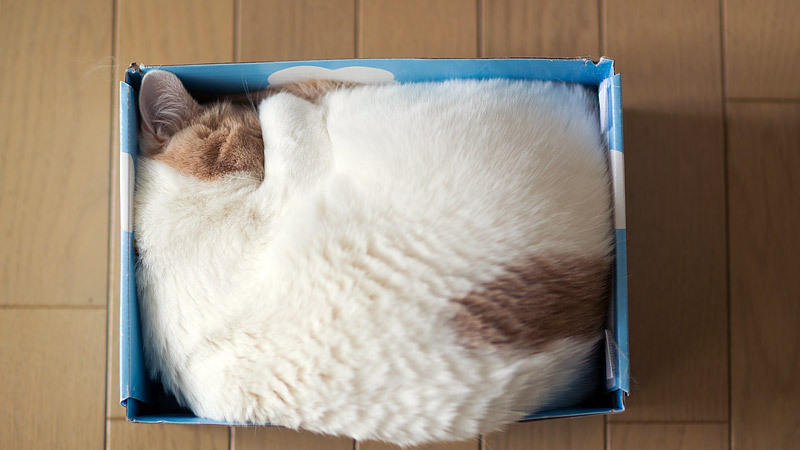 In the absence of a box, cats would use other confined spaces they’d find appealing — shoes, vases, shopping bags, egg cartons, etc. 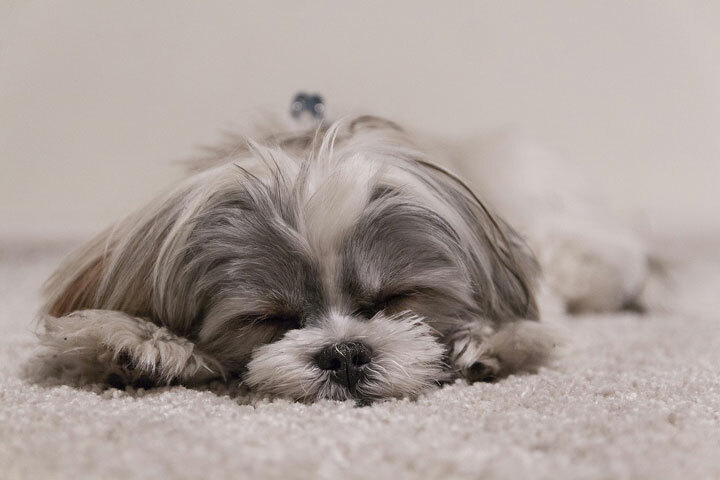 According to data gathered by the National Research Council (NRC) in 2006, cats feel most comfortable at a temperature between 30 and 36 degrees Celsius (86 and 97 degrees Fahrenheit). 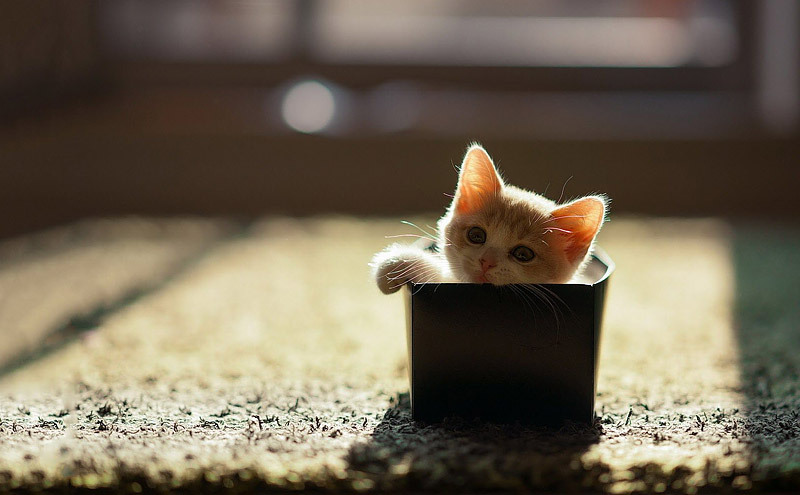 That is why they like sunny places, radiators, and… cozy boxes! 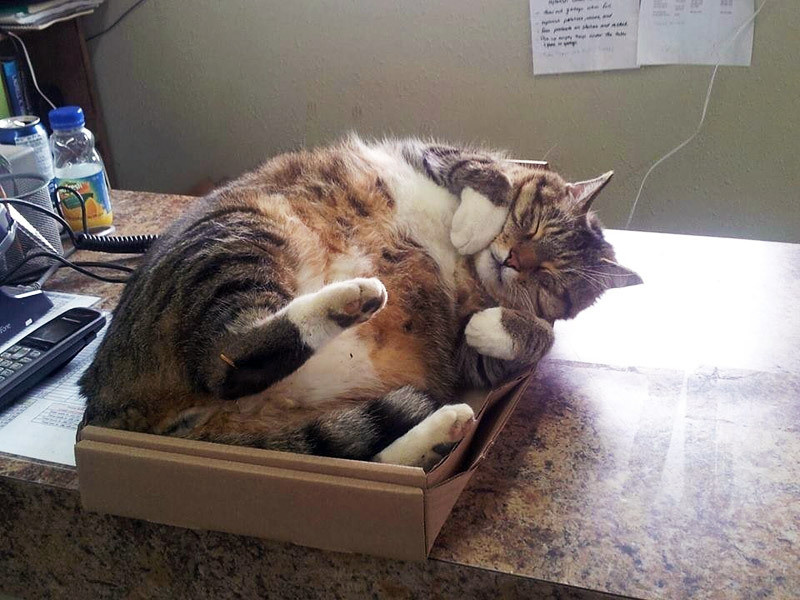 Cats especially prefer cardboard boxes, because cardboard possesses heat-insulating qualities. So, now we know! 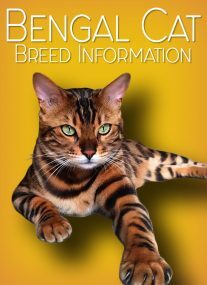 Still, it’s such a pity that cat’s can’t talk — if they could, we would’ve found out their secret long ago!